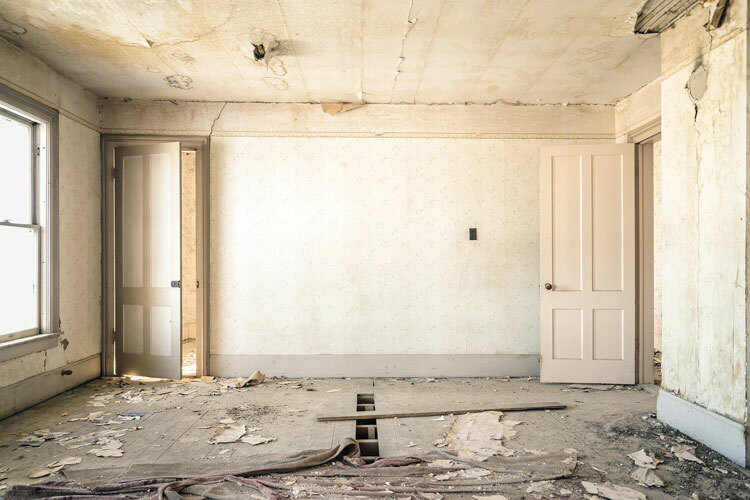 There’s always a lot of work that needs to be done when buying a house that needs updates and renovations. 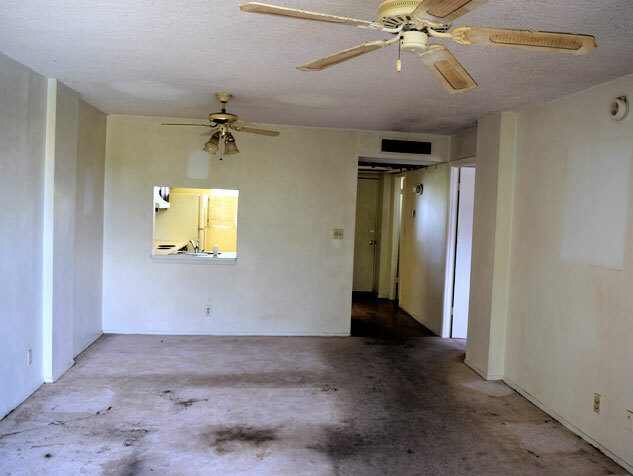 As someone who bought a foreclosed condo in horrible condition, I know first hand about the nervousness, inexperience and learning that goes into fixing up a property yourself. I found some projects easy to tackle on my own, but ultimately hired some professionals for the more difficult jobs and those requiring permitting. If you want to make a big impact by doing small things, here are some things you need to include. One of the first projects you should tackle is giving all the interior walls and ceilings a fresh coat of paint. Making fresh paint a priority will be easier and avoids paint disasters like spilled paint on a new floor. If walls are dirty, clean them with a product like Formula 409. Any holes should be speckled and repaired prior to priming. Sand down all walls for a smooth surface. Use a quality primer. Don’t buy cheap paint, as you’ll wind up using more and will have to repaint sooner. Removing old carpet is easy but can be hard without a few tips. Pull up an edge to separate the carpet from the carpet tack strip so you can see what’s underneath the carpet. If it’s the concrete sub-floor, then you don’t have to worry about damaging a usable surface. If it’s concrete, make it easy and use a sharp carpet knife to cut the carpet into sections and haul it to the trash. The tack strips are easy if you know what to do. There are many videos online showing how to do this. Many homes built in the 50’s and 60’s in the eastern portion of Fort Lauderdale have Terrazzo floors. 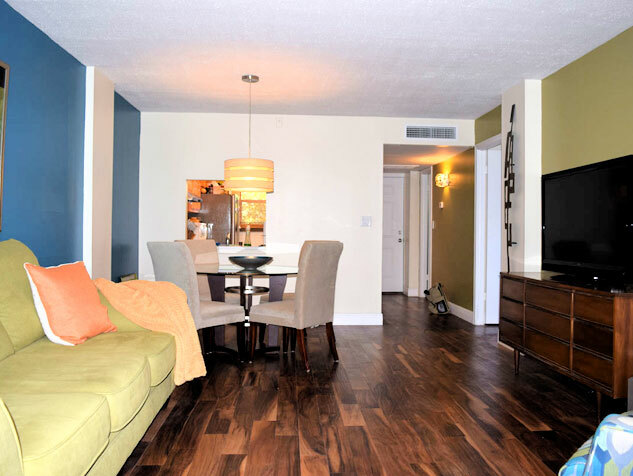 There are wonderful restoration companies locally that will restore this flooring to its original luster. Don’t forget the ceilings! I found it easier to paint them first to avoid drips on walls and floors. If you have popcorn ceilings, you may want to consider removing it. An easy process, just time consuming and a bit messy. Best done before anything in the renovation process. Definitely one of the easiest updates to make on your new home. Lighting fixtures are easy to replace, usually don’t require any more tools than a screwdriver and instantly change the ambiance. In many fixer upper situations, outlets, light switches and cover plates may be missing, broken or beyond cleaning. These items can be bought in bulk at your local hardware store and are also easily replaced. Just be sure you are replacing the outlets with the correct amperage; you don’t want to replace a 20 amp with a 15 amp. Updating your kitchen and bathroom faucets are a bit more difficult, especially for anyone who hasn’t done it before. Before buying new fixtures, you’ll need to determine the size and type of faucet you want. You’ll also want to make sure you can get the old faucet off, as over time faucets can corrode and bond to the undermount surface. If you decide to replace sinks at the same time, it’s a lot easier as you can remove the entire sink and fixture at once. To find a better selection than hardware stores, shop local dealers that will have options the big stores don’t. 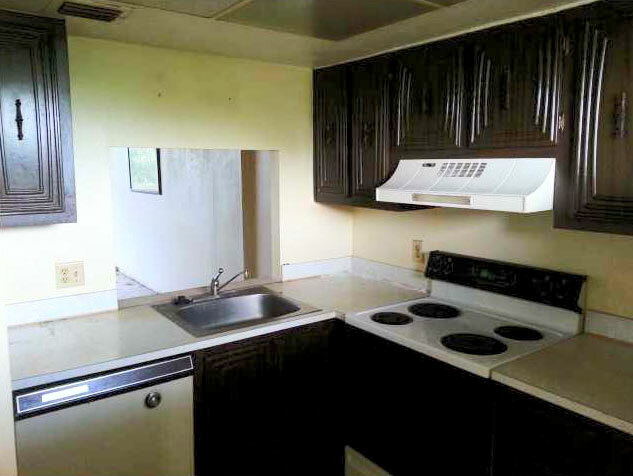 If you can afford new cabinets, great. Otherwise, painting old cabinets and replacing the hardware is the way to go. Remove all the doors and hardware. Clean all surfaces throughly, including the back side. Sand all surfaces and wipe with a damp cloth to remove dust. Prime cabinets with a cabinet surface primer. Buy a semi-gloss paint tinted to your color choice. 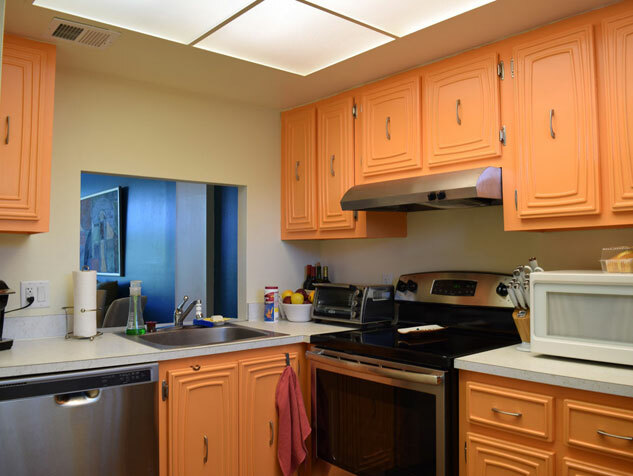 Paint the cabinets fronts while they’re lying flat to avoid drips and paint build up. I found painting the back sides and edges first best. Take a set of your old cabinet hardware with you when you go to buy new sets. You’ll need to know the length & width, the center-to-center measurement (the distance between mounting or screw holes), and projection – the total distance that a pull or knob projects from the cabinet door. First impressions are lasting impressions. Add a fresh coat of paint, remove old shutters, replace the sod on the front lawn and edge new landscaping gardens. Remove dead plant and add new shrubs, trees and flowers for year-round color. Repair and change the mailbox, and add decorative house numbers. Clean up the porch area and add some potted plants and a welcome mat. For major items requiring a larger budget, roofing and driveways, determine if any immediate repair can extend the life until your ready for the investment of total replacement. Easy but not cheap. Easy in the sense that you will have to hire a licensed installer to do the job. But a 1-bedroom condo can easily cost $3,000 to install new hurricane impact windows. A small single-family home will cost $8,000. Find the budget to do this as soon as possible. It will improve the security of your property during a windstorm, reduce the risk of criminal break-ins, and provide a credit on your annual insurance premium. Most Florida homes and condos use a split system for cooling & heating. Manufacturer’s useful life of the condensers and air handlers are typically 15 years. But these units can last longer. Older units do tend to use more electricity, so updating these save money in the long run. Have an HVAC inspection of your condenser, air handler, and air ducts. The air ducts should be cleaned and sealed if needed. If the ducts are beyond cleaning, consider replacing them to avoid future odors in your home due to the ducts. Use quality air filters with at least a rating of MERV 8. Next What is a Swale?